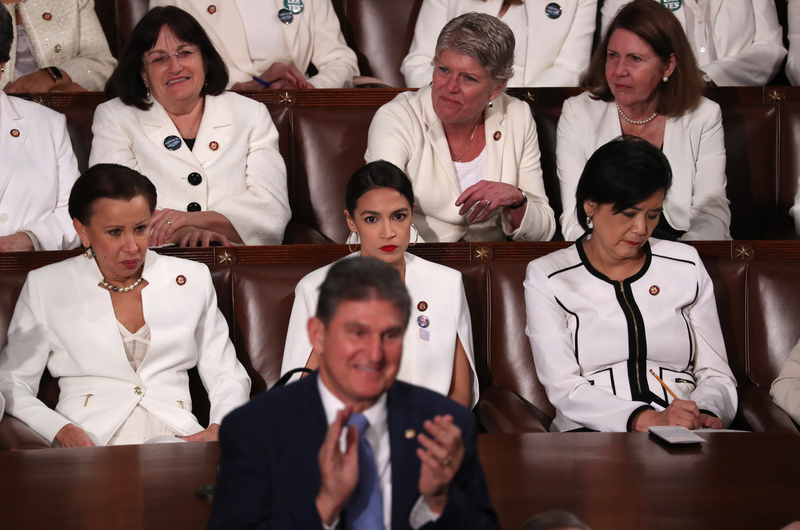 Democratic West Virginia Sen. Joe Manchin stood and cheered a call to ban late-term abortions during President Donald Trump’s Tuesday night State of the Union address. “There could be no greater contrast to the beautiful image of a mother holding her infant child than the chilling displays our nation saw in recent days,” Trump said, pointing to the passage and introduction of extreme abortion legislation. Among those displays is “the case of the Governor of Virginia [who] … basically stated he would execute a baby after birth,” Trump continued, referring to comments Virginia Democratic Gov. Ralph Northam made on Jan. 30 appearing to condone infanticide. Manchin refused, however, to condemn Northam’s comments. “I haven’t seen anything. I’ve been in retreats. Obviously I just got out of a meeting,” he told The Daily Caller News Foundation when asked for a reaction to Northam’s remarks. A few days prior to the State of the Union, a majority of Democrats on Capitol Hill were not willing or unable to discuss bills allowing abortion until birth. Trump’s remarks come amid a number of proposals to expand abortion access in Rhode Island, Vermont, Virginia, Maine, New Mexico and Maryland. Manchin did not respond to TheDCNF’s request for comment in time for publication.